Since I'm pretty well sorted for troops for France in 1940 now, I thought it was time to start paying some more attention to the early years of the Western Desert campaigns. I have a few Brits for that theatre, but very little in the way of opposition for them. So, I thought, what better time to start building up an Italian collection? I've never really looked at the Italians before, but their tanks have lots of rivets and that's always a good thing. 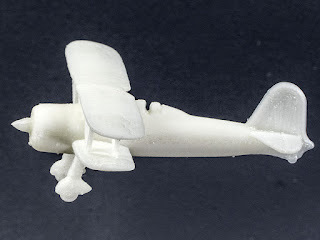 The first item is this absolutely terrible FDM 3d print of a Fiat CR-42 "Falco", an excellent biplane fighter used in fairly large numbers by Italy at the beginning of the war. The model is one that I got from Thingiverse at https://www.thingiverse.com/thing:2816411 — I split it down the middle and printed it in two halves, and then glued them back together. As far as silhouette goes, it's a perfectly good model. 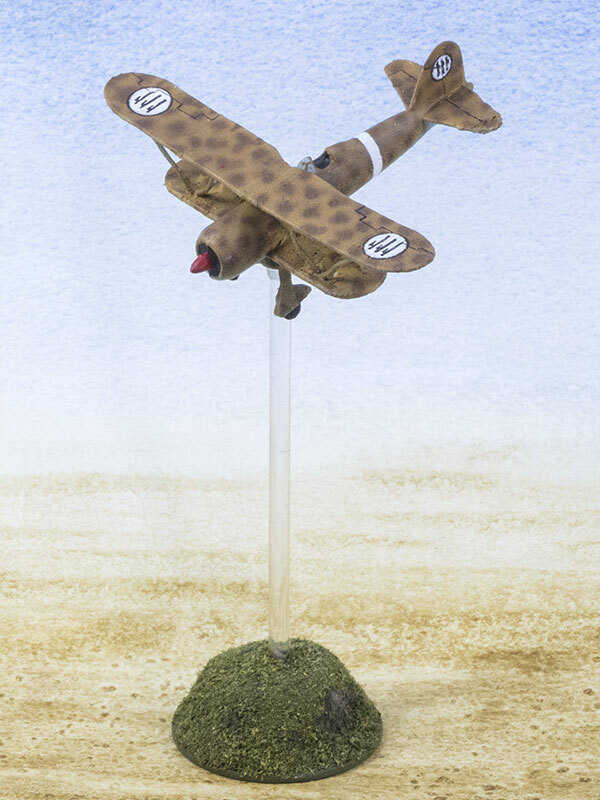 However, it's scaled to 1:100, and all my aircraft (almost all, anyway) are at 1:144. So I scaled it down, and regrettably that made several bits too thin to print. I set my slicer (Cura 3.6) to force-print them, and they did print, but they didn't print well. 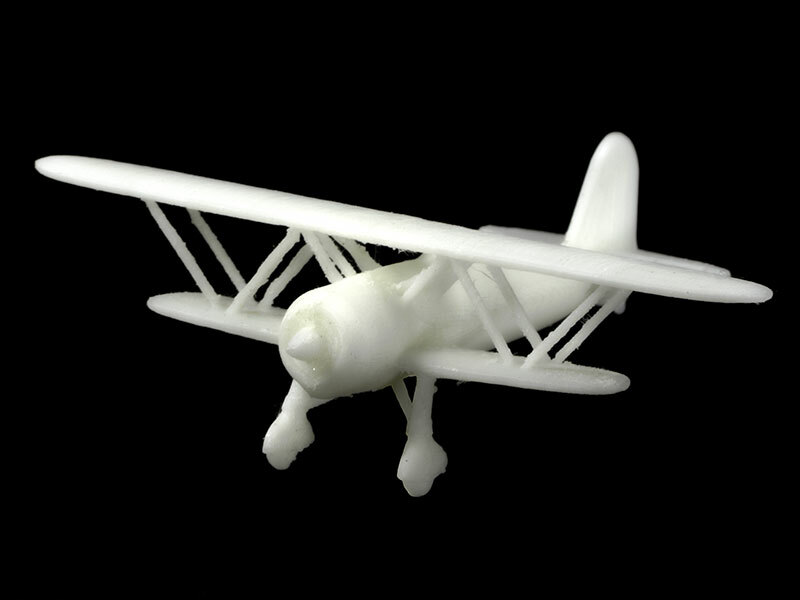 I'll probably have to remodel it quite a bit to make the wings, tail and struts a bit chunkier, and I might break it up and print it in several bits. I'll also have to put together a few desert-themed flight stands, I guess. ...and now there's a pilot! 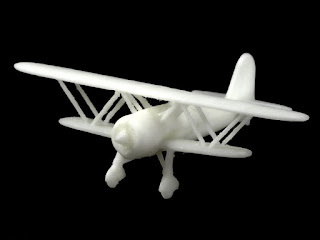 I remodelled almost all of the original STL — in fact, all that's left is the fuselage. The wings and tail fin and planes have all been thickened, and the wings have been given more of an aerofoil profile. The struts have also been thickened, and the undercarriage replaced, now including the bracing struts. And I added a pilot. Now it prints much better at 1/144 scale. I still had quite a bit of cleanup to do due to stringing, but apart from that it's quite straightforward. 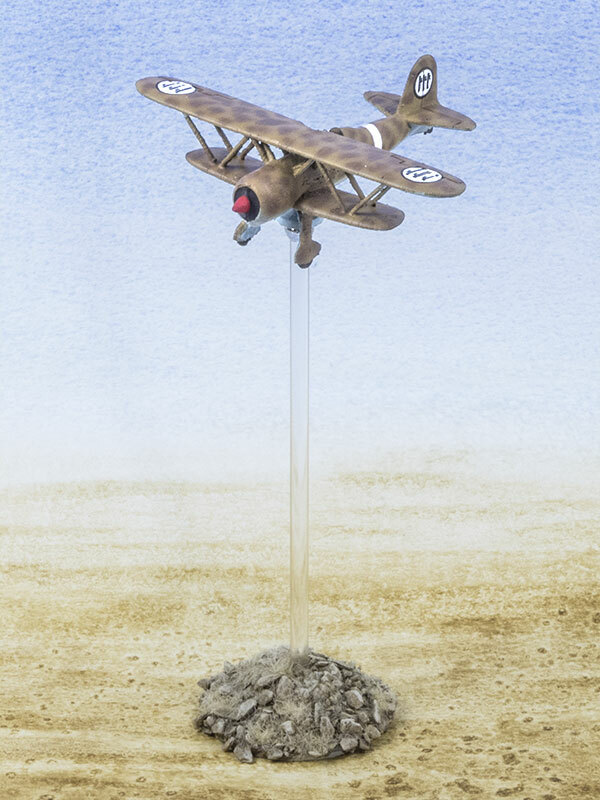 I also made a new desert-themed flight stand, so that it won't be dragging its own little patch of verdant vegetation across the wastes of Libya. very nice work there ..